PART# G021203 Replaces 021203. GENUINE GENERAC CARBURETOR. Helpful Links. WE ASK THAT YOU VERIFY THE PART OR UNIT BEFORE PURCHASING. ALL ORDERS MUST BE PAID FOR WITHIN 24 HOURS OF SUBMITTING BUY IT NOW. PART# 073590A. GENERAC 5 AMP FUSE. We represent many of the leading manufacturers of generators, air compressors, and industrial engines. See our full range. WE ASK THAT YOU VERIFY THE PART OR UNIT BEFORE PURCHASING. 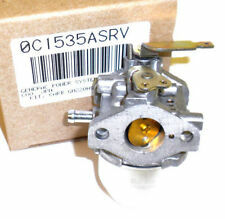 For Generac 0C1535ASRV Carburetor OC1535ASRV 4000XL 4000EXL GN220 7.8HP carb * Brand New and High Quality * Fast shipping from California Fits Carburetor : 9777-0, GN190, EHC04276, 005778-1, 005778-0, 9898-0,9898-1, EHC00952, EHC00955, 580327141, 005778-2, 580751780, 580751781, 580751782, 580742780, XG4000-5778-0, XG4000-5778-1, XG4000-5778-2, 75178, 580742781, 580326740, EHC009521, 580327130, 580327250, 580327252 097747, 0C1535A, 0C1535AESV, C1535, 97747, 97747, 97747, DP90876, 90876, 90876, DP90876 Packing list * 1pc Carburetor * 2pc Fuel Filters * 2pc Gaskets. Trending at $18.54eBay determines this price through a machine learned model of the product's sale prices within the last 90 days. GENERAC PART# 0C1535ASRV. Helpful Links. WE ASK THAT YOU VERIFY THE PART OR UNIT BEFORE PURCHASING. ALL ORDERS MUST BE PAID FOR WITHIN 24 HOURS OF SUBMITTING BUY IT NOW. We represent many of the leading manufacturers of generators, air compressors, and industrial engines. Replaces Kohler 25 462 03S. 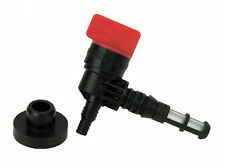 Pressure Washer Fuel Valve Service Kit. Rotary Fuel Valve. Replaces Briggs 192980GS / 208961. BRIGGS and SNAPPER. Compatible with ethanol blended gas. 1010-0 Portable Generator. 9608-0 3,500 Watt Generator. 9700-0 EP4600 4,600 Watt Generator. 9676-0 S-4000 4,000 Watt Generator. 9704-0 3,500 XL 3,500 Watt Generator. Generac 0G3224TA ASSY IGN COIL NO ADV 760/990. Your full-service provider of Power Products. Helpful Links. WE ASK THAT YOU VERIFY THE PART OR UNIT BEFORE PURCHASING. ALL ORDERS MUST BE PAID FOR WITHIN 24 HOURS OF SUBMITTING BUY IT NOW. Brand New (2) Pack of Genuine Generac Valve Spring Retainers... We are an Authorized Generac Dealer... Valve Spring Retainer 2 Pack Genuine Generac Part # 077157 Fits Specific Generac Models Genuine OEM Generac Part. MPN 0C1535ASRV GH220HS. 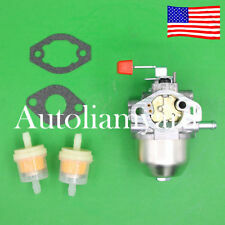 For Briggs & Stratton 390323 394228 194415 7HP 8HP 9HP Engines Carb Carburetor. 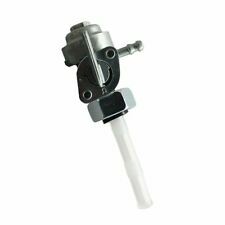 Fits Carburetor 1pc Carburetor. Type Carburetor. Carburetor For Carb Tecumseh 5HP MTD 632107A 632107 640084A 640084B Snowblower. GENERAC 0H9005. FUEL GAUGE 130LG. WE ASK THAT YOU VERIFY THE PART OR UNIT BEFORE PURCHASING. Your full-service provider of Power Products. GENUINE OEM, NEW IN BOX. ALL ORDERS MUST BE PAID FOR WITHIN 24 HOURS OF SUBMITTING BUY IT NOW. Generac 8795 C5000 4000 5000 Watt Generator. 1x Carburetor kit as the picture. We will try our best to reduce the risk of the custom duties. Trending at $13.25eBay determines this price through a machine learned model of the product's sale prices within the last 90 days. GENERAC 073111 073111S. We represent many of the leading manufacturers of generators, air compressors, and industrial engines. Your full-service provider of Power Products. We Are The Power People! GENERAC 0J921. We represent many of the leading manufacturers of generators, air compressors, and industrial engines. GENUINE OEM, NEW IN BOX. See our full range. Your full-service provider of Power Products. John Deere: AM107423. Generac: 1323, 70185. 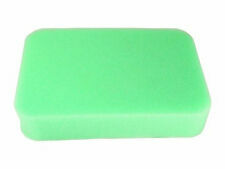 Kawasaki: 49065-2071, 49065-2078, 49049-1063, 49065-2081. OD: 2.685". THIS VALVE DID HAVE A FUEL BOWL ON THE BOTTOM GENERAC HAS CHANGED IT TO THIS STYLE VALVE NOW. Generac 073111S OEM Air Filter Element. Condition is New. Shipped with USPS First Class Package. Generac 0D24890ESV, D24890ESV Valve Retainer Kit OEM. For Generac GN220 series engines. (7.8HP) KIT INCLUDES 1 - 0C3590 Exhaust Valve. 1 - 0C3591 Intake Valve. 4 - 0C3592 Valve Keepers. 2 - 0C3733 Valve Retainers. Paper Panel Air Filter replaces Generac #73111GS. Fits Models: 1019-3,7,500 ELX Alternator; 1786-0 5,500 Watt 5500CS, 1787-0-0, 500 Watt 5500CXE. GENERAC: 73111GS. Part # 100-572. LENGTH 5-1/8". Good used recoil starter from a 196cc engine. Brand New Genuine Generac Fuel Shut Off Valve & Bushing Set... We are an Authorized Generac Dealer... Fuel Shut Off Valve & Bushing Set Genuine Generac Part # 078299 & 080270 (1 of Each) Fits Specific Generac Models Genuine OEM Generac Part. Brand New (2) Pack of Genuine Generac Vibration Mounts... We are an Authorized Generac Dealer... Vibration Mount 2 Pack Genuine Generac Part # 0H1829 Fits Specific Generac Models Genuine OEM Generac Part. Brand New Genuine Generac Recoil Starter... We are an Authorized Generac Dealer... Recoil Starter Genuine Generac Part # 0J08074SRV Fits Specific Generac Models Genuine OEM Generac Part. Generac GP5500 GP6500 GP7500 GP7500E Generators. 1x Pull Start Recoil Starter Kit as the picture. We will try our best to reduce the risk of the custom duties. Genuine Generac Fuel Cap 0056677SRV. Trending at $24.39eBay determines this price through a machine learned model of the product's sale prices within the last 90 days. Fits 33/64" Fuel Tank Hole. PART# 0G9241T. 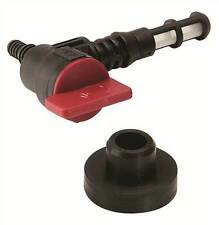 GENUINE GENERAC IGNITION COIL. 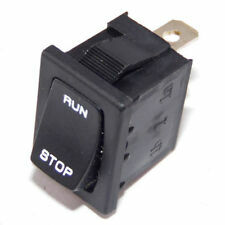 GENERAC -GENUINE OEM PART-. IGNITION COIL. Your full-service provider of Power Products. WE ASK THAT YOU VERIFY THE PART OR UNIT BEFORE PURCHASING. ALL ORDERS MUST BE PAID FOR WITHIN 24 HOURS OF SUBMITTING BUY IT NOW. 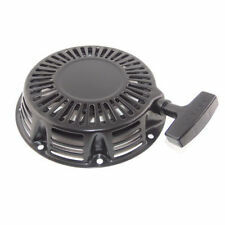 GENERAC AIR FILTER PART NUMBER 073111. Trending at $12.80eBay determines this price through a machine learned model of the product's sale prices within the last 90 days. Brand New (2) Pack of Genuine Generac V/C Gaskets... We are an Authorized Generac Dealer... Valve Cover Gasket 2 Pack Genuine Generac Part # 0C2979 Fits Specific Generac Models Genuine OEM Generac Part. 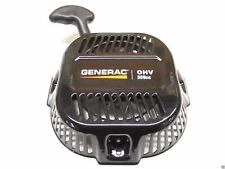 GENERAC PART# 0J08071SRV. RECOIL STARTER ASSY. FOR GENERAC ENGINE(212CC). Your full-service provider of Power Products. See our full range. WE ASK THAT YOU VERIFY THE PART OR UNIT BEFORE PURCHASING. Brand New Genuine Generac Charger... We are an Authorized Generac Dealer... Charger AC Adapter 12V DC Genuine Generac Part # 0G5744 Fits Specific Generac Models Genuine OEM Generac Part. Brand New (2) Pack of Genuine Generac Fuel Filters... We are an Authorized Generac Dealer... Fuel Filter 2 Pack Genuine Generac Part # 0D6313 Fits Specific Generac Models Genuine OEM Generac Part. PART# 0C1535ESV. GENERAC CARB. REBUILD KIT GENUINE PART . We represent many of the leading manufacturers of generators, air compressors, and industrial engines. Helpful Links. WE ASK THAT YOU VERIFY THE PART OR UNIT BEFORE PURCHASING. 0057341 GP15000 GT990 120/240V PORTABL 2014-11-11 (6325498 - 9297305). 0057341 GP15000 GT990 120/240V PORTABL 2015-12-18 (9366550 - 50069417). 0057351 GP17500 GT990 120/240V PORTABL 2014-10-31 (6330218 - 9281764). Brand New (2) Pack of Genuine Generac Vibration Mount Feet... We are an Authorized Generac Dealer... Vibration Mount Feet 2 Pack Genuine Generac Part # 0H43470118 Fits Specific Generac Models Genuine OEM Generac Part. Brand New Genuine Generac Low Oil Pressure Switch 5 PSI NC… · Genuine Generac Part # 0L2917A · Fits Specific Generac Models · Fits Specific Generac Engine Models That Require This Part Number · Genuine OEM Generac Part. 1x Carburetor kit as the picture. Three months warranty. We will try our best to reduce the risk of the custom duties. 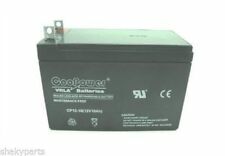 Brand New Genuine Generac Battery Charger Rectifier… · Genuine Generac Part # 065795 · Fits Specific Generac Engine Models That Require This Part Number · Genuine OEM Generac Part.